North Lauderdale Appraisers is a Florida Real Estate Appraisal company dedicated to providing lenders and individuals with rapid, high-quality residential appraisal services in the South Florida area including West Palm Beach, Fort Lauderdale, Boca Raton, North Lauderdale, Broward County and Palm Beach County. If you need a North Lauderdale Appraiser we are the one to call! At North Lauderdale Appraisers we stand by our appraisal reports and pride ourselves on accuracy and timeliness. Our North Lauderdale appraisers follow industry standard Fannie Mae and Freddie Mac guidelines. We maintain a high level of communication, so you won't wonder when you will get your appraisal report. We rely upon up-to-date technology and data in order to ensure accurate and rapid appraisal services. Most appraisal reports are delivered via email within 2 business days from the date of inspection. 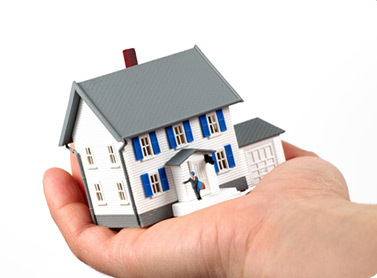 Our North Lauderdale appraisers are highly qualified and state certified. We do not staff trainees or apprentices. We provide quality reports while still maintaining a rapid turnaround time. All our appraisers are state certified, meet continuing education requirements and have extensive experience analyzing property in North Lauderdale and the surrounding area. If you need a North Lauderdale Appraiser call us today! North Lauderdale is located in Broward County Florida. The US Census estimates the 2017 North Lauderdale population to be 44198 . Median income for a household in the city was $41,081. City events are tyically held in Hampton Pines Park. North Lauderdale was originally conceived as "The City of Tomorrow" by architect Morris Lapidus who is famed for his work on the Hotel Fontainebleau and Eden Roc in Miami Beach.